It's Sunday and you know what that means. Oh, you don't know what that means? Sunday is kids' craft day! I'll pretend I'm not offended that you didn't know that. That's right you can make your own chewing gum! (Go check out that post here which includes a gum recipe for you to try.) We had so much fun with this Sunday craftipe (my new word for a cross between a recipe and a craft) and it was a super popular post. Apparently, everyone loves gum and making a mess in the kitchen as much as we do! I even heard from my bloggy friend Jocelyn who experimented with my recipe by adding some fun gum colors. A representative from Glee Gum randomly found my post and sent me an e-mail thanking me for linking to their gum pellet base product. Isn't that sweet? And it gets better . . .
Wow! What a generous prize pack from Glee Gum! Their candy kits are amazing! They are available in Make Your Own Chocolate, Make Your Own Chewing Gum, and Make Your Own Gummies. What a GREAT SUMMER ACTIVITY! These activity kits are all-natural, educational, and eco-friendly. With pre-packaged ingredients and easy-to-follow instructions, kids (and adults) gets a real kick out of making candy from scratch. Focusing on the history behind and the origin of these candies, each kit is designed to captivate your interest, connect you to the global community, and create something yummy to eat in the process! There are a variety of ways to enter and win Prize 1 from these chewlicious (hmm . . . I'm on a roll in the making up words department) prize packs. This giveaway will be open until 11:59 PM on Saturday, July 17. My advice is enter a different way each day so that your entries are spread out rather than all lumped together, but that's just how I roll when I enter a great giveaway multiple times. ;) The winner for Prize 1 will be chosen randomly first from the comment entries on this post. Then the winner of Prize 2 will be randomly chosen only from the fans of twelve crafts till Christmas Facebook page as of Saturday, July 17 at 11:59 PM. And one last thing . . . there is probably a Glee Gum retailer near you. Check it out at the store locator here and then use the coupon on their recent newsletter to go score a deal on some Glee Gum. If you have questions, feel free to shoot me an e-mail and ask. **While I'm so thankful for the international readers of this blog, Glee Gum prize products can only be shipped within the United States. Unfortunately, this excludes international readers. I do appreciate each international reader - some of whom I've gotten to know through wonderful comments and e-mails) bunches and bunches. However, international readers can still purchase Glee Gum on the online store. Click here and scroll down to the bottom of the page for international shipping info. Glee Gum is all-natural, gluten-free chewing gum with no artificial coloring, flavoring, sweeteners nor preservatives. Glee Gum is the only gum in North America made the old-fashioned way, with chicle! Chicle is a natural tree sap harvested sustainably from the rainforests of Central America. Once all chewing gum was made with chicle, but today most gum is made entirely from synthetic stuff. Not Glee Gum! Glee Gum uses chicle because it is an eco-friendly way to help conserve the rainforest. Chicle is also what gives the gum such great, long-lasting chewing texture! Glee Gum is a “green” gum right down to the packaging, which is made from biodegradable, recycled cardboard. i would definitly choose the chewing gum kit-my girls would absolutely love this!! i'm following you on twitter-I think your first follower...hmmmmm....special consideration-lol! My middle daughter is gum-obsessed! We would have a blast with the gum making kit! Thanks for turning me on to Glee Gum--I had never heard of it, but it's my new favorite. I mean, how cute is the packaging? I would choose the chocolate kit for my niece! My boys would go crazy (..er) for the gum making kit. What a cool idea. I am going to have to try this one as soon as I can find the gum base pellets. Very cool. I stumbled upon your blog from The Girl Creatives "just something I whipped up" linky party. I am your newest follower. I'm a follower and what a fun activity to do! Thanks! And, I follow your blog. And, I think I would have to try the chocolate making kit since we girls love chocolate at my house. Although, I'm thinking that any of these would make a great gift for that sis-in-law that's impossible to buy for but loves unique and fun new ideas. thanks for the heads-up. I would totally pick the gum kit. I never knew you could make your own gum! I like Glee Gum on facebook. My girls would love the chewing gum kit - to fun, who knew? I can't wait to look at your blog some more, you have such fun with your kids! I saw this and got really excited. We are having a family reunion next year with 18 kiddies and that this would be a very good indoor activity!! I would for sure pick the chewing gum kit - my boys would loooooooove that! liked glee gum on FB! 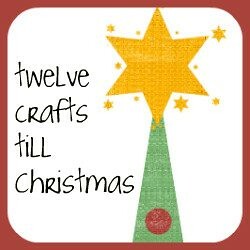 liked twelve crafts on FB! I follow your blog Elizabeth! I think I would pick the Make your own Gummies kit - the kids love those things! I like 12 crafts on FB too! I really need to try this...my son LOVES gum!! Thanks for sharing! I think I would go with the gummy kit. My daughter loves gummies! I liked Glee gum on facebook too! I'm now a follower of your blog! I love it!! I would probably choose the gummy kit. My son LOVES gummys! My granddaughter would love either the gummy kit or the gum kit, this would be so fun to do with her. I "like" you and would choose the Chocolate kit for sure! Very exciting I hope I win. I think I would choose the Gummies kit, since I don't let my 2 year old have gum yet. My daughters would flip out over the Chewing Gum kit. Never knew there was such a thing! I just became a follower on my Google Reader. Great stuff! 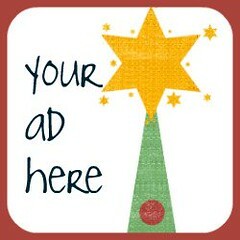 i am a follower here, a fan on facebook, a fan of glee gum on fb, and posted a link on my fb page!! i would love a kit on how to make gum! Would love to try the gum making kit! I "like" Glee Gum on FB! 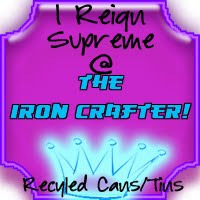 I "like" Twelve Crafts on FB! hypwagkzyuxasantvbeb, http://yahooscanner.net yahoo scanner, awjFuwx.